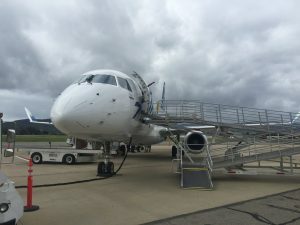 SAN LUIS OBISPO, CA —The County of San Luis Obispo and community partners celebrated the start of nonstop service between San Luis Obispo and Seattle on Thursday morning. A cheering crowd of well-wishers and eager travelers joined the County to greet passengers of the first arriving flight connecting the two cities. Prior to the flight’s arrival, guests gathered at the airport for remarks from Airport Director Kevin Bumen, County of San Luis Obispo District 3 Supervisor Adam Hill, Visit SLO CAL President and CEO Chuck Davison, and Alaska Airlines Sales & Community Marketing Manager Eloisa Valdez. This important new destination, announced last summer, will connect San Luis Obispo to Alaska’s network, increase accessibility to Seattle’s tech industries, and carry visitors into the Central Coast’s thriving wineries and beaches. organizations. 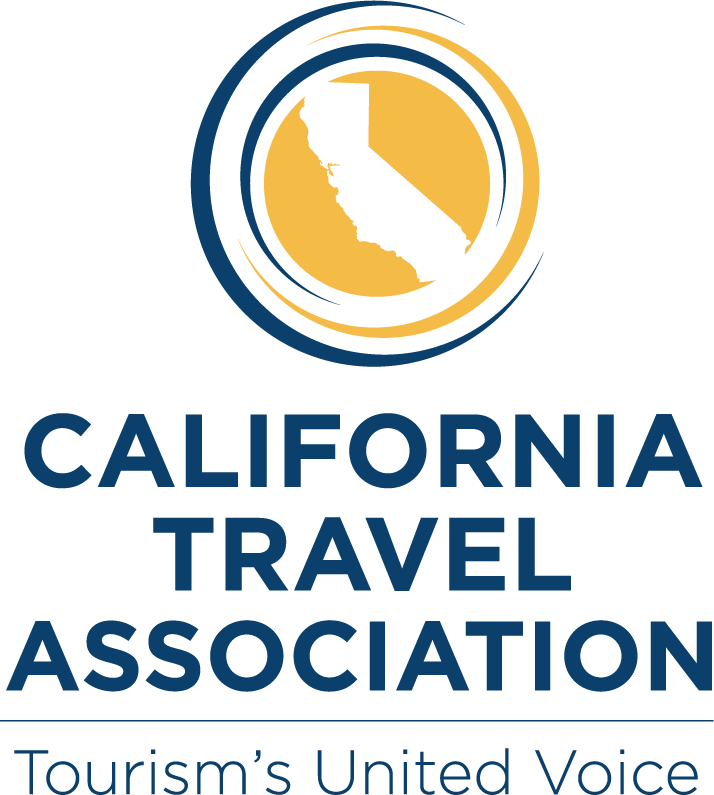 The County Board of Supervisors voted to form the Tourism Marketing District in 2015, providing critical marketing funding needed to establish and sustain new air service. 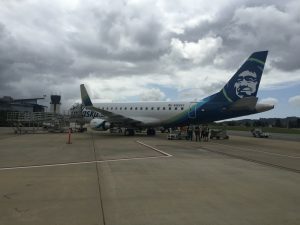 Additionally, with the Board’s approval of a Small Community Air Service Development Grant, the County was able to incentivize Alaska Airlines to begin service here. 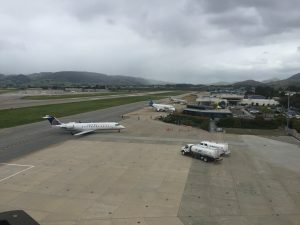 The Economic Vitality Corporation and Visit SLO CAL partnered with the County to prove the importance of the region to the airline, as both a destination and a steady source of passengers. The culmination of these programs and many other meetings, sponsorships and collaborative efforts, is a new airline and its more than 100 connecting markets. Alaska Airlines was equally as enthusiastic about the new service. Alaska Airlines’ flights between San Luis Obispo and Seattle will operate daily. Arrivals are scheduled to land at 10:42 a.m. and departures leave at noon. The flight will operate on a 76-seat, two-cabin Embraer 175. To book travel to Seattle, visit https://www.alaskaair.com/. San Luis Obispo County Regional Airport (SBP) serves areas as far north as Southern Monterey County and as far south as Northern Santa Barbara County. The airport offers convenient access to and from the Central Coast. Beginning in 2017, residents and visitors will have the choice of three commercial airlines with flights to Los Angeles, Phoenix, San Francisco, Seattle and Denver. 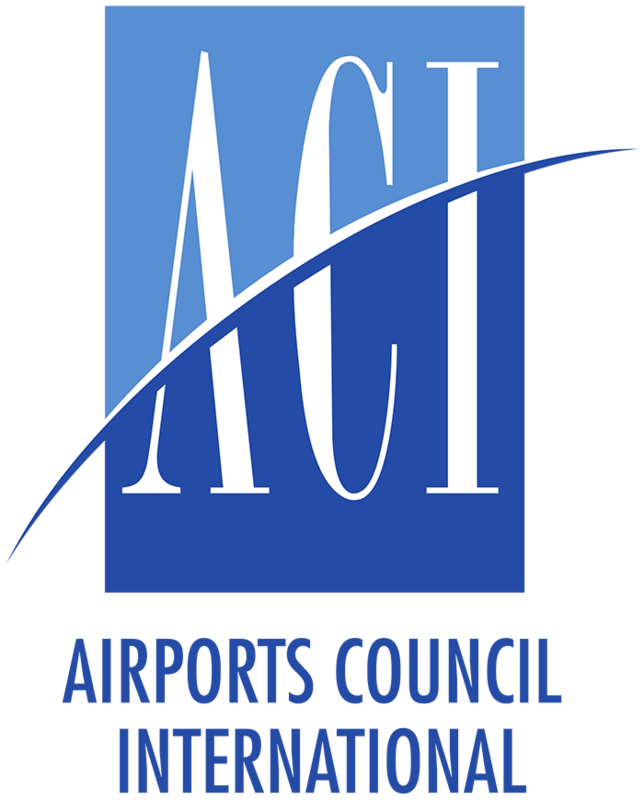 The airport is also home to full-service general aviation and corporate facilities. For more information, or to book a flight, visit www.sloairport.com.